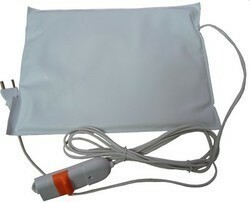 Our product range includes a wide range of heat belt. Our company is involved in the exporting, wholesaling and trading of Heat Belt highly appreciated by the clients for precise use. Moreover, the performance of these products is up to the mark and these are designed by the professionals as per the demand of the clients. High efficiency of these products increases their demand rapidly in the market.